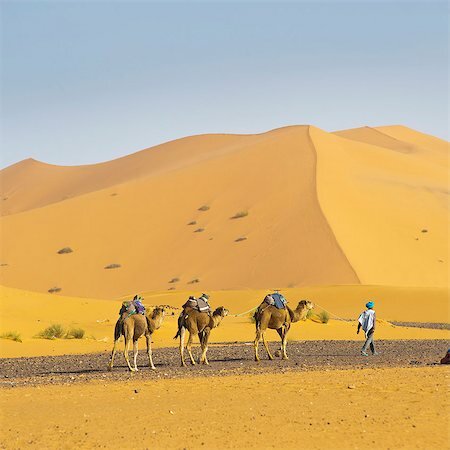 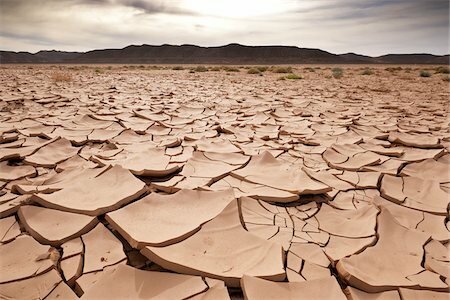 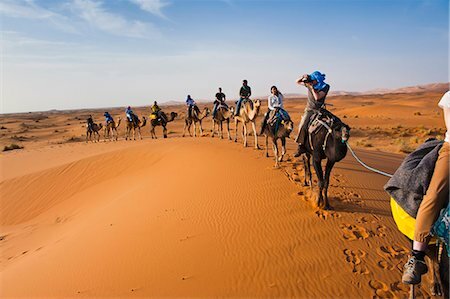 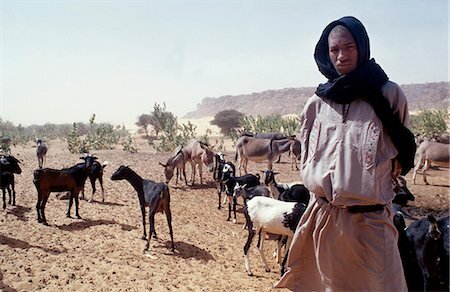 Niger, Agadez, Sahara Desert, Tenere, Kogo. 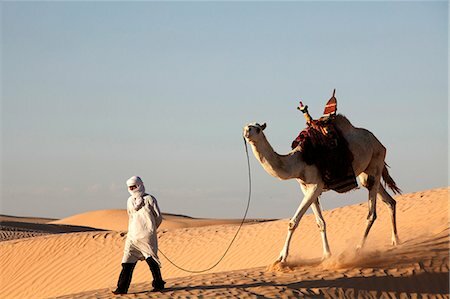 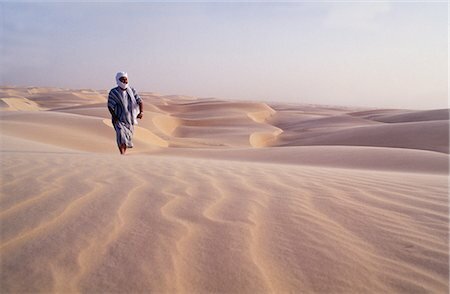 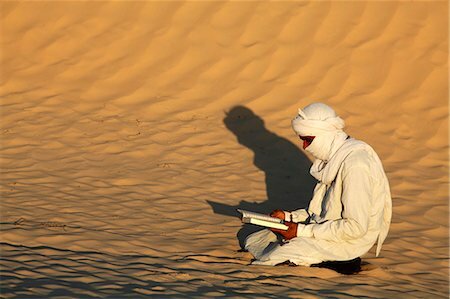 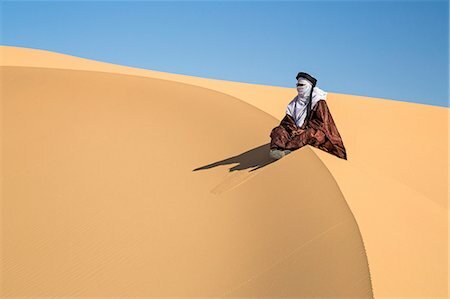 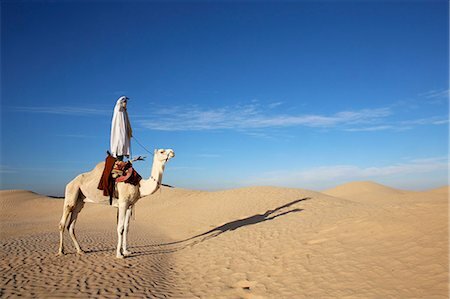 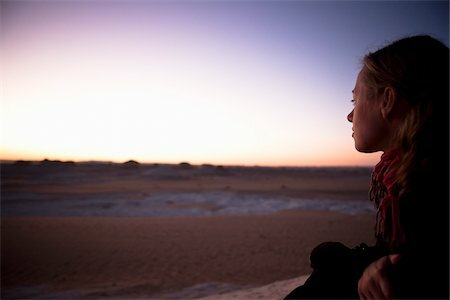 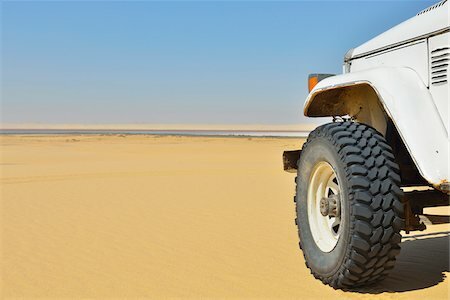 A Tuareg sits to enjoy the desert scenery from the top of a tall sand dune. 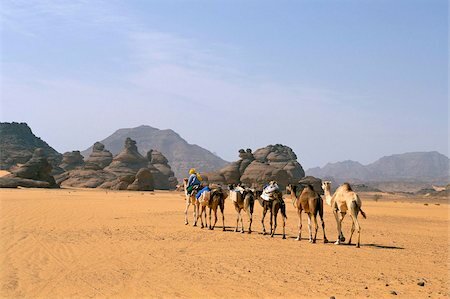 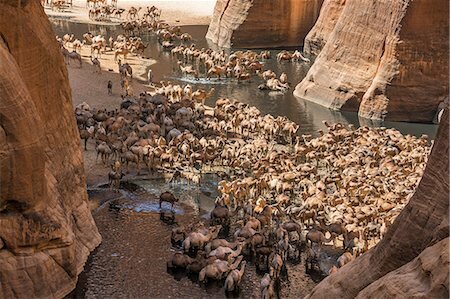 Chad, Abaike, Ennedi, Sahara. 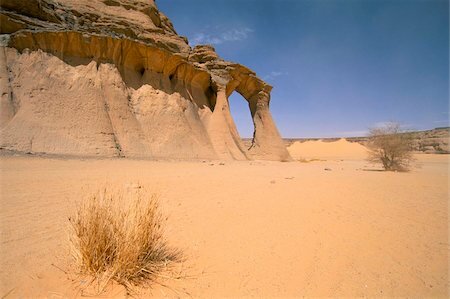 A striking cluster of weathered sandstone columns on a ridge. 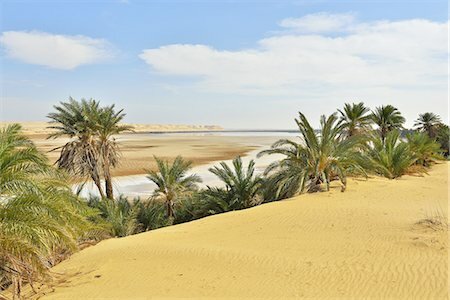 Libya, Fezzan, Erg Uan Kasa. 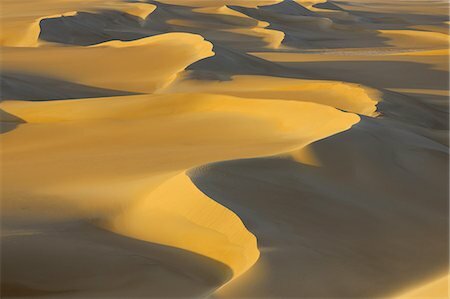 Seemingly endless dunes at Erg Uan Kasa, a 'sand sea' lying between Jebel Akakus and Messak Settafet. 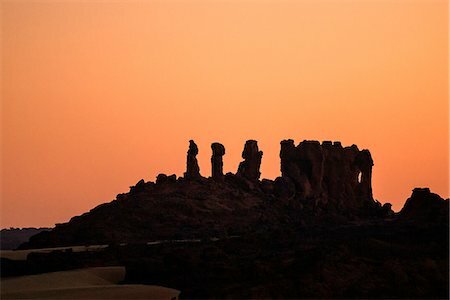 Chad, Terkei East, Ennedi, Sahara. 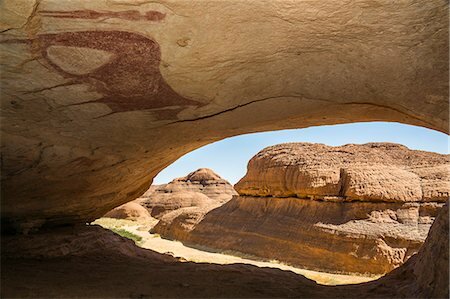 A huge painting of cows and human figures on the ceiling of a large rock shelter. 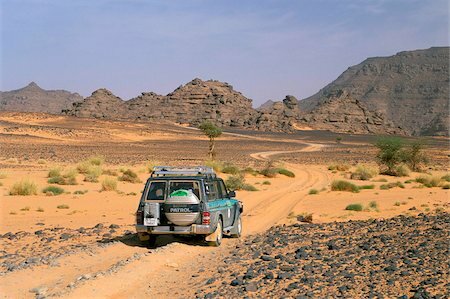 Chad, Terkei East, Ennedi, Sahara. 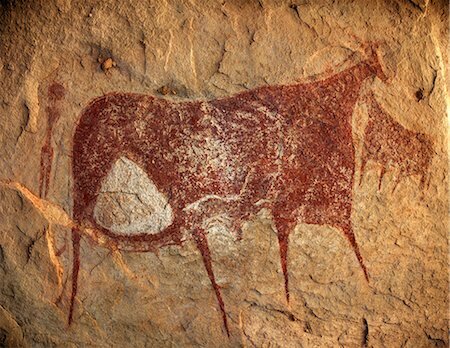 A large bichrome painting of cows and a figure holding a lance on the ceiling of a vast rock shelter. 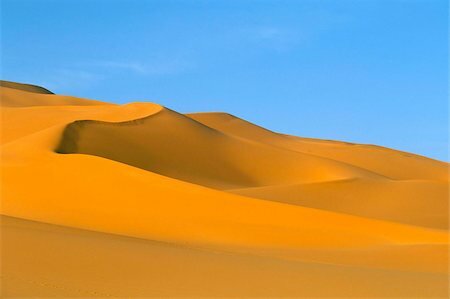 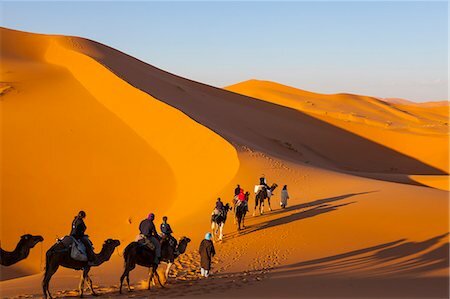 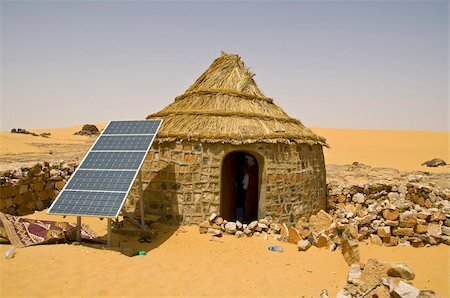 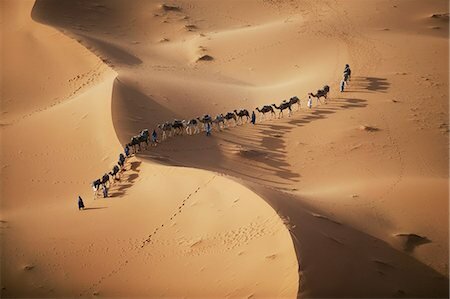 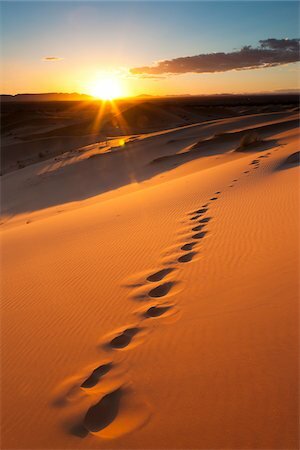 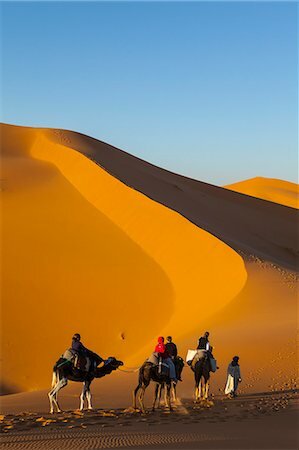 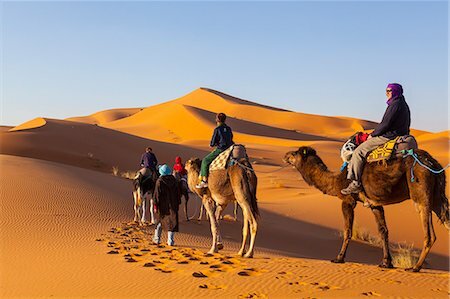 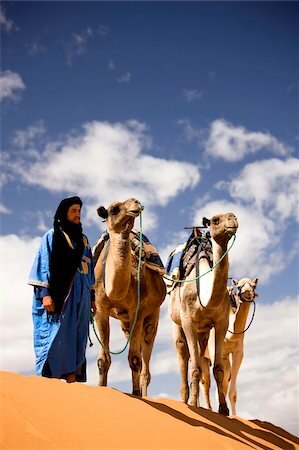 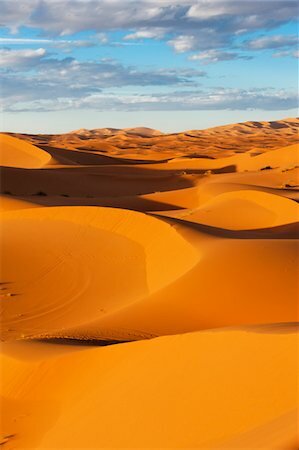 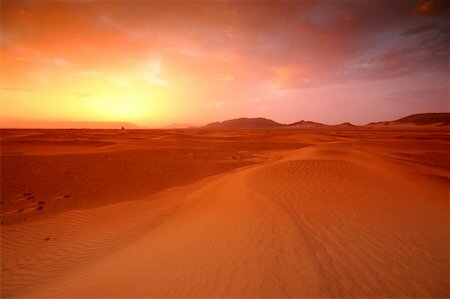 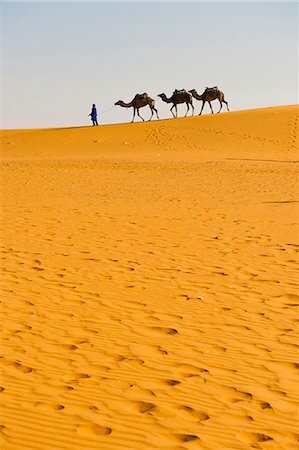 Niger,Sahara,Tenere Desert. 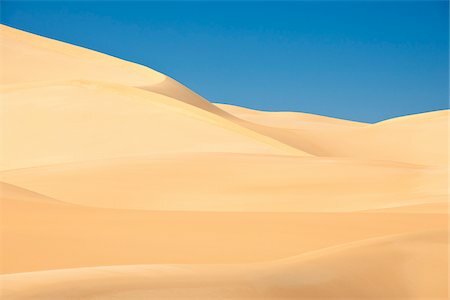 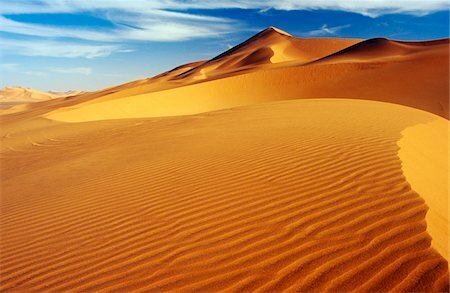 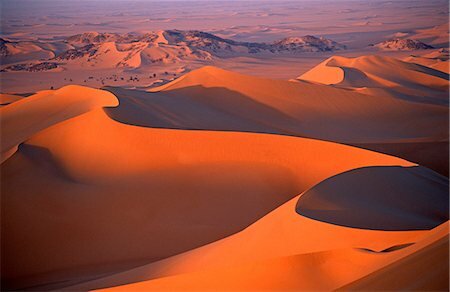 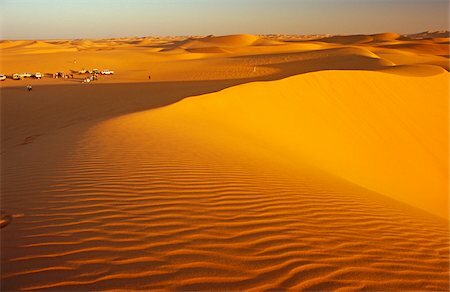 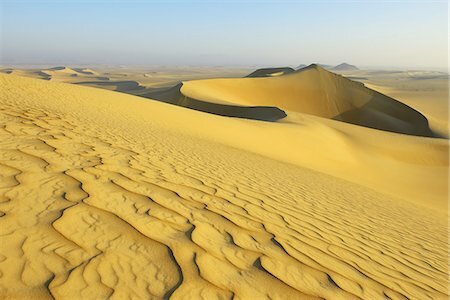 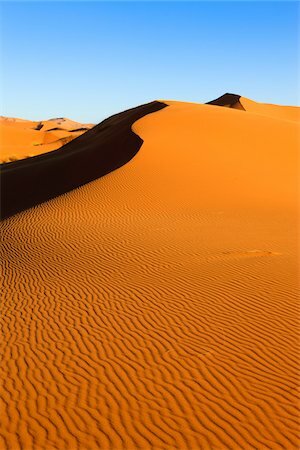 Sand Dunes of the Tenere Desert. 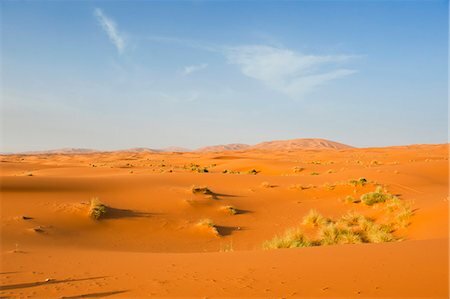 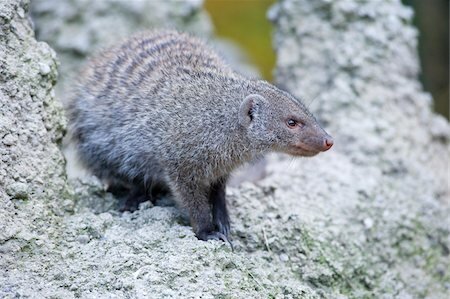 This is the largest protected area in Africa,covering over 7.7 million hectares. 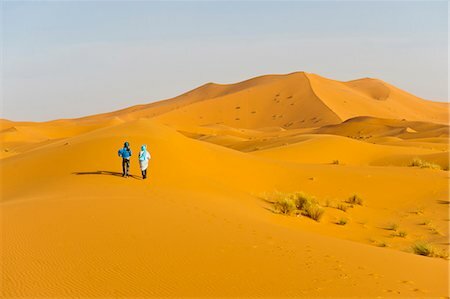 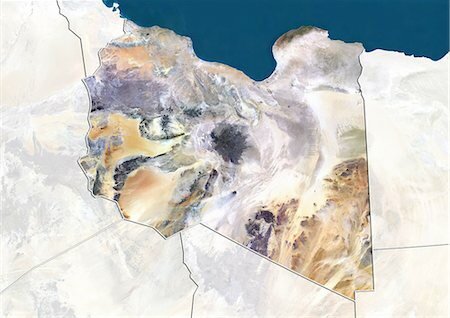 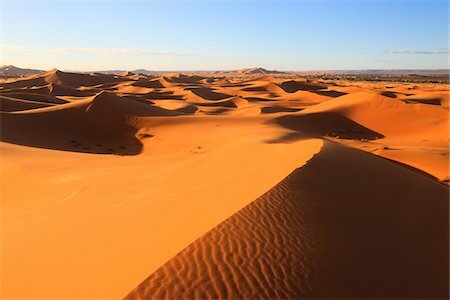 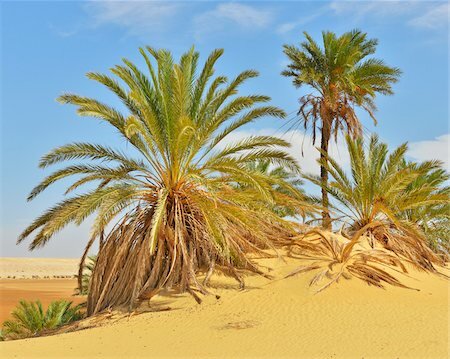 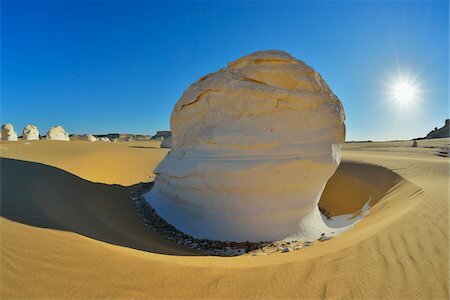 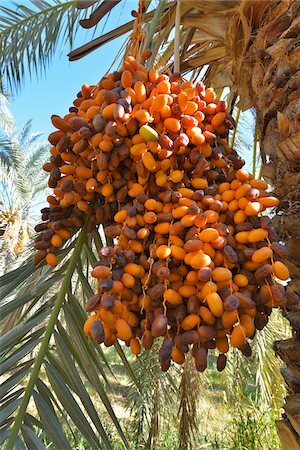 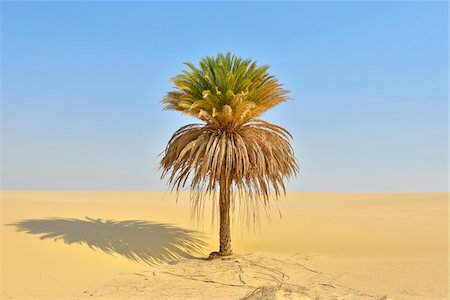 It includes the volcanic massif of the Air Mountains,a Sahelian island isolated in climate,flora and fauna in the surrounding Saharan desert of Tenere. 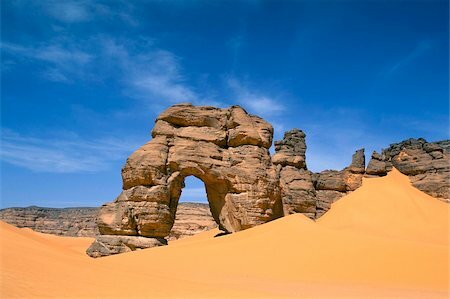 The site was inscribed on the World Heritage List in 1991. 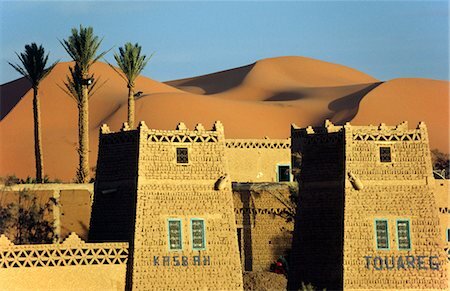 A desert kasbah backing onto the giant sand dunes of Erg Chebbi in eastern Morocco. 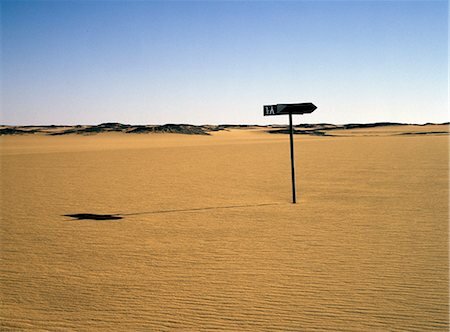 An old signpost marks a disused track across the Nubian Desert,north of Old Dongola. 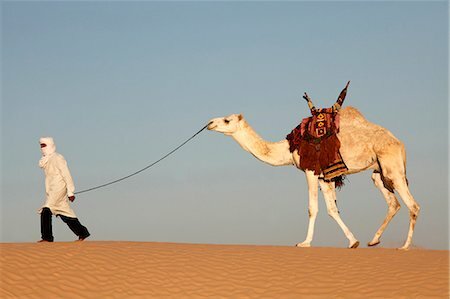 It is marked in Arabic '108',which is probably the mileage from Karima to Dongola. 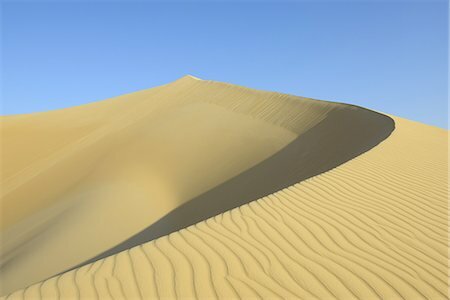 The route across the desert now runs at least 10 km away from the sign. 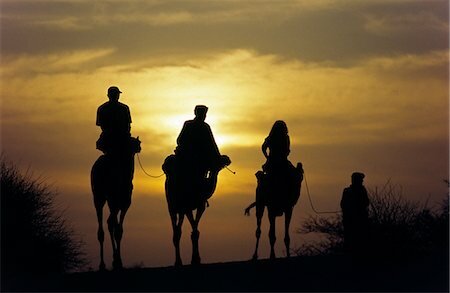 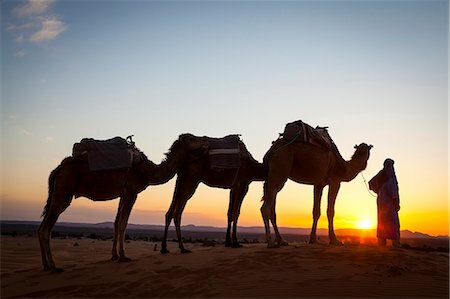 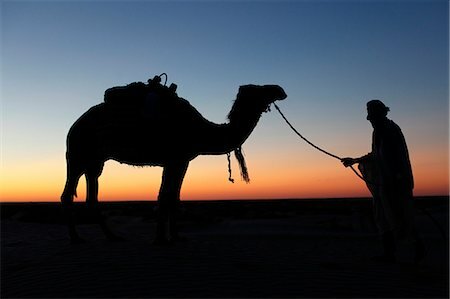 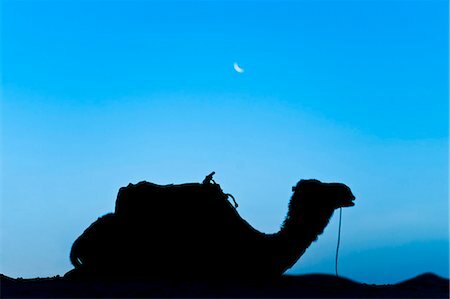 Three camel riders silhouetted against an evening sky. 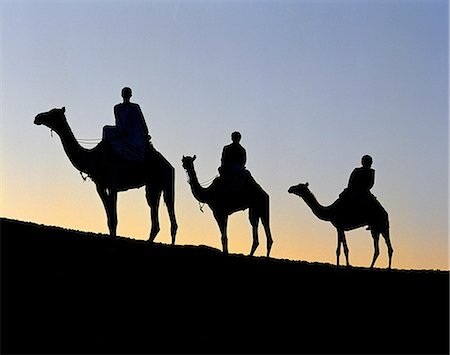 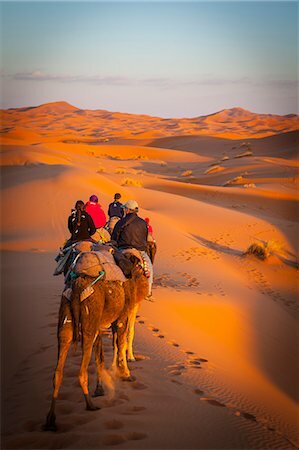 The setting sun over the desert makes a enchanting shadow as a caravan of camel merchants winds their way toward the next stop on their journey. 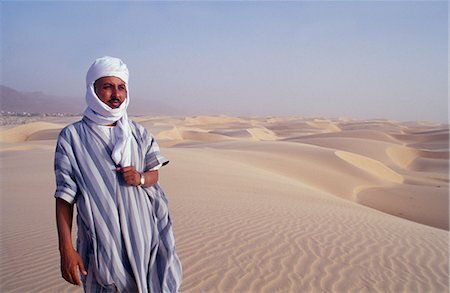 Libya, Fezzan, Erg Uan Kasa. 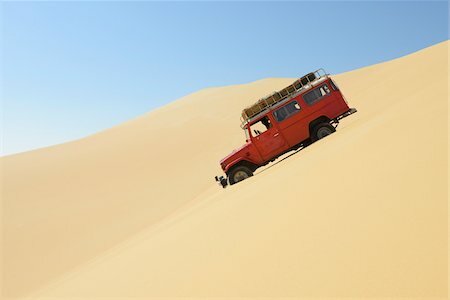 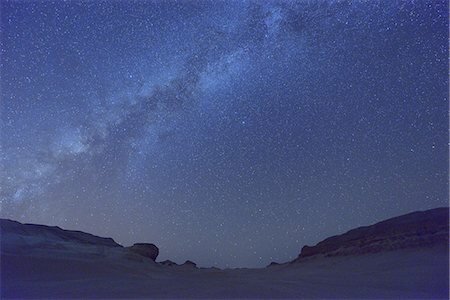 Tourists set up a wild campsite in the midst of the Erg Uan Kasa dunes between the Jebel Akakus and the Messak Settafet. 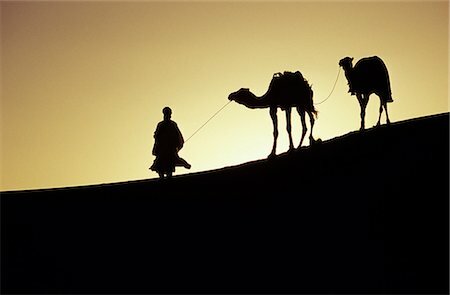 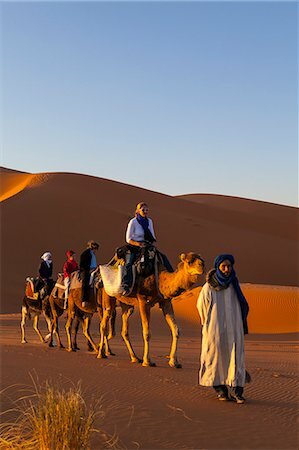 A Berber tribesman is silhouetted as he leads his two camels along the top of sand dune in the Erg Chegaga,in the Sahara region of Morocco. 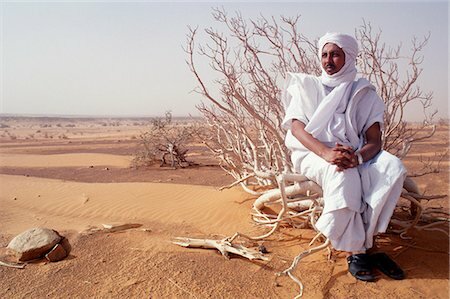 Mauritanian guide in the desert.